Are you tired of the regular ponytails? Now it’s time to try something new. 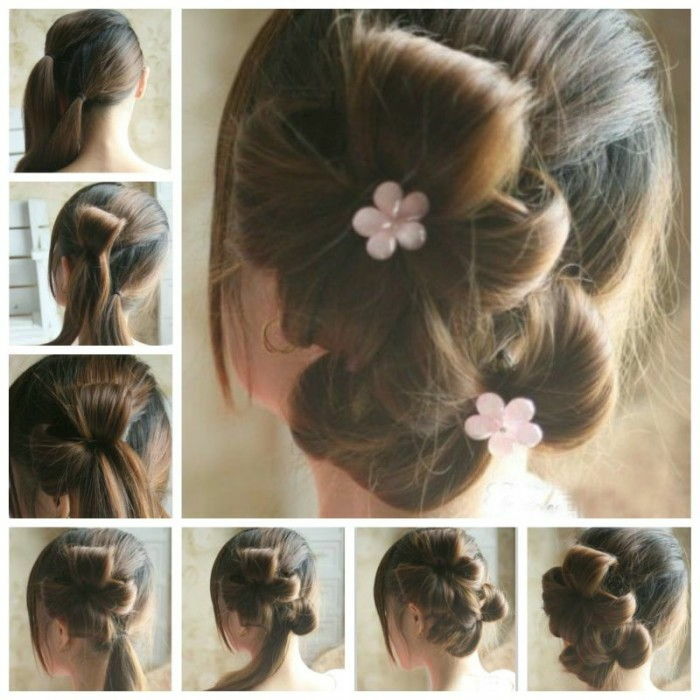 Here is a nice DIY project to make flower petal updo hairstyle. 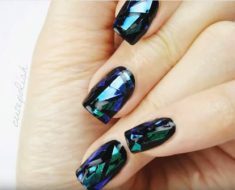 It looks chic and lovely. 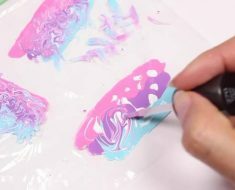 Isn’t it nice that you can use your own hair to make flower petals? 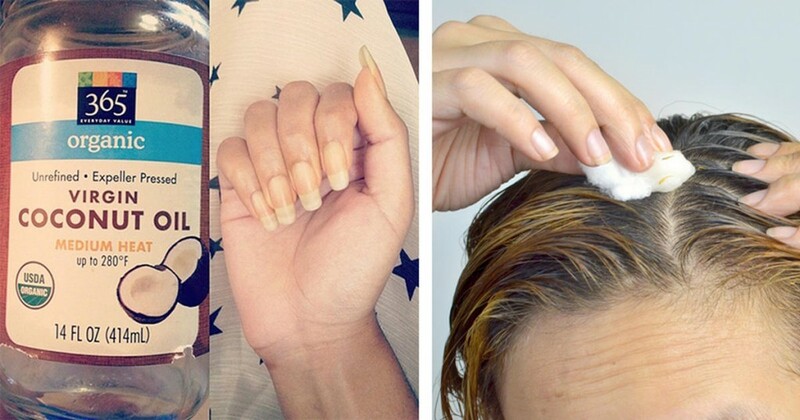 It works for medium to long hair. It can be casual, but can easily be dressed up to look elegant. 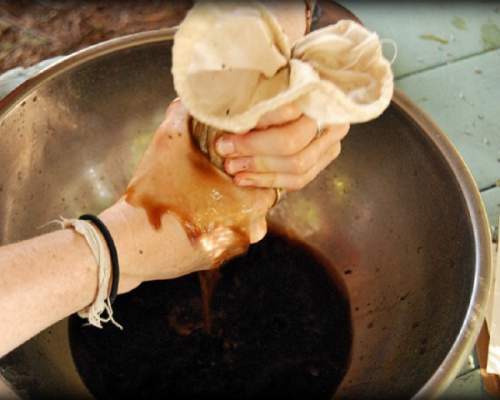 Once you know how-to, it is simple and quick to make. Let’s get started! 1. Comb the hair and divide it into upper and bottom parts. 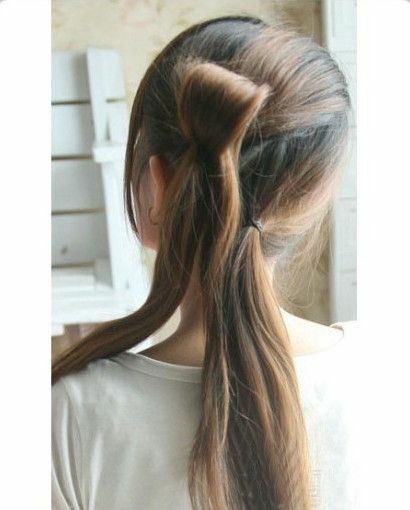 Make two side ponytails (can be either side) and fix them with elastics. 2. 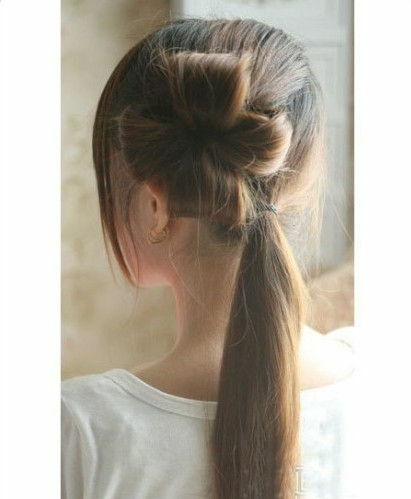 Divide the upper ponytail into four equal parts. 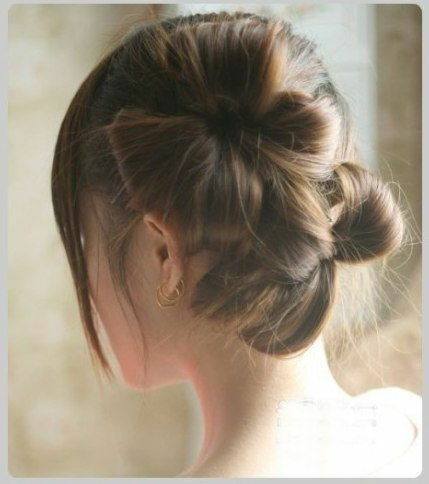 Take the first strand of hair, make a loop and fix it in place at the base of the ponytail with the same elastic. This will be the first petal of the flower. 3. Take another strand of hair and make the second petal. 4. 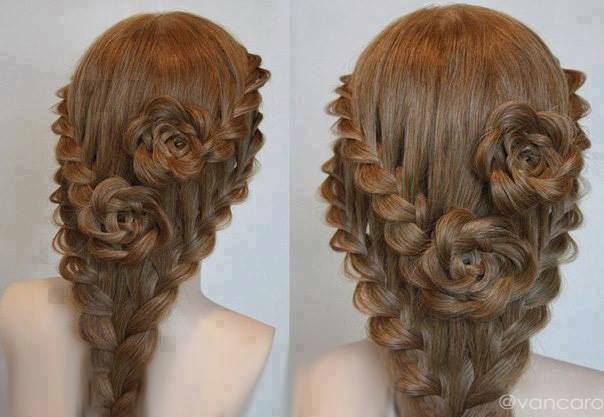 Depending on the length and thickness of your hair, you can make 4 to 5 petals to form the flower. 5. Repeat step 2 to 4 for the bottom ponytail. First divide it into a few parts and make loops. 6. Continue to make the petals. 7. Once done, you will have two flower updos. 8. 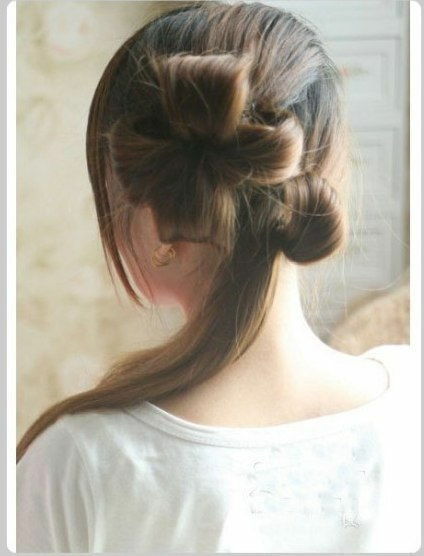 Use bobby pins to secure the loose hair. 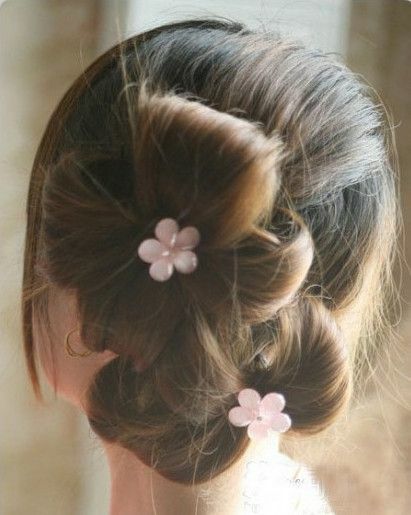 Attach some pretty flower ornaments at the centers of the two flower updos. 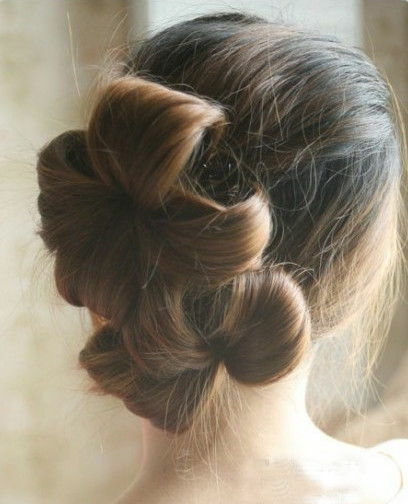 This chic flower updo hairstyle is done. Enjoy!